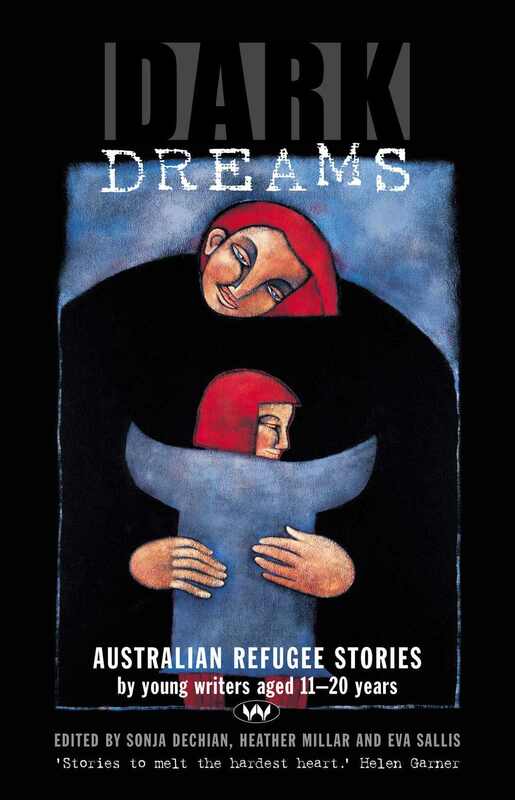 Dark Dreams, Australian refugee stories is a unique anthology of essays, interviews, and stories written by children and young adults. The stories are the finest of hundreds collected through a nationwide schools competition in 2002. The essays and stories represent many different countries and themes. Some focus on survival, some on horrors, some on the experiences and alienation of a new world. This book will have a key role to play in schools across Australia. Eva Sallis's first novel Hiam won The Australian Vogel and the Dobbie Literary Awards. She is cofounder of Australians Against Racism and is a Visiting Research Fellow at the University of Adelaide. Australia has a tumultuous history. In seventeen seventy eight, Australia was colonised by Great Britain, destined to establish the first European settlement in Australia. The Australian indigenous communities were decimated by violence, displacement and diseases introduced as a consequence of colonisation. Australia is a multicultural landscape of migration. Since the White Australia Policy was abolished after the Second World War, over seven million migrants have immigrated to Australia, our population of twenty four million people comprising over six million immigrants, speaking over two hundred languages. A multicultural, multilingual country, forcibly removed from Indigenous communities, now imprisoning refugees escaping persecution. Their journey to freedom is tumultuous, emphasised in the incredible Journey to Freedom written by Hai Van Nguyen, the winning entrant and one of over thirty narratives included in Dark Dreams. Fourteen years after arriving in Australia, the trauma of their journey remains. We had lived to tell a story some never could. But the battle was not over, in fact, it was just beginning. We had fought with the elements and the authorities, but the real battle started the day we arrived in Australia. My parents have since learned that language barriers can be as insurmountable as giant waves, that exclusions leave a void far greater than the size of any ocean and that numbers last long after they have been removed. There’s nothing like having to cling to every bare breath, to see life reduced to a scarce trickle, to walk the tightrope separating life and death, at times not knowing one from the other. Very rarely do we get to see human nature stripped of all that it depends on to learn that human nature is itself enough. Throughout each unfathomable circumstance, we are confronted by our own privilege and the mistreatment of migrants and asylum seekers. 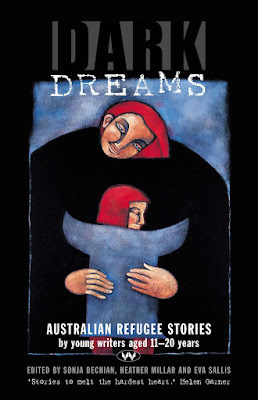 Dark Dreams is a collection literary memoirs from young, emerging authors chronicling the harrowing journey of immigrants and those escaping violent, ravaged communities from a multitude of destinations and circumstances. Vietnam, Afghanistan, Yugoslavia, Iraq, Albania, Sudan and Germany. It is imperative for their stories to be recounted, to be heard. The human experience to be felt. Essential reading. I wish Dutton would read something like this. But sometimes I'm not clear he has a heart. He really has no compassion for those fleeing persecution and turbulent environments does he. Narratives like Dark Dreams are so incredibly important to make us examine our own privilege to help others. Oh my! I am actually tearing up right now reading this Kelly. I really need to read books like this one more. SOLD! It's so beautifully written Vanessa, I think you'll really enjoy the variety of narratives and emerging authors. It'll stay with me long after the final page. Oh wow this sounds like a really important book!! And I'm super curious?! I'm a little unenchanted with the cover though looool I think I may be an unartistic uncultured brick wall. But anyway! Will keep my eyeballs open for this. I loved the cover the first time I'd seen it, the symbolism of compassion. I like artistic covers in general though. It's incredibly important and such an influential read. The reason for these books is heartbreaking but I'm hopeful that marginalized voices are finally being heard. Especially from an age group that we don't get nearly enough. Thanks for sharing this one Kelly. To read the harrowing stories is so impacting Karen. The one common factor each story shares is basic needs and hoping to find the safety that Australia offers to asylum seekers and refugees. Unfortunately our government holds no compassion for those escaping these abhorrent environments. It's heartbreaking and devastating. What an important read. It's tough to get through, I bet but it's an education to say the least. The most important narratives really are confronting aren't they. To read about the journeys of migrants seeking refuge is a really humbling experience, we most definitely need more anthologies and marginalised voices in young adult. I completely agree Ailyn. Back when I was at school, migration is a topic that was never discussed within the classroom, even more disturbing that our history of colonialism and the genocide of Indigenous Australians was also left out entirely. It's about time schools teach the history of Australia and the continuation of how our ministers and government ignore basic human rights. It would be incredible to see narratives like Dark Dreams in school libraries and even as part of the school curriculum. No no, the cover is beautiful! I love the artistry and the symbolism. It truly is. The stories are heartbreaking, some I needed to wait a day before continuing because they were incredibly harrowing. The stories told through the eyes of emerging adolescent authors was poignant and something that will stay with me for a long time to come.